Six Flags Reading Logs are due THIS Friday. 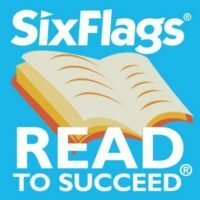 Six Flags Reading Logs are due THIS FRIDAY (February 8th). Every K-5th Grade Blythe Park student who completes six hours of recreational reading and submits a signed reading log by THIS FRIDAY, FEBRUARY 8th will receive one free admission ticket to a participating Six Flags Theme Park this summer. K-5th Grade STUDENTS: Read for fun for a total of 6 hours, log your time and have your parent/guardian sign the reading log. *NOTE – Tickets are expected to arrive in May.